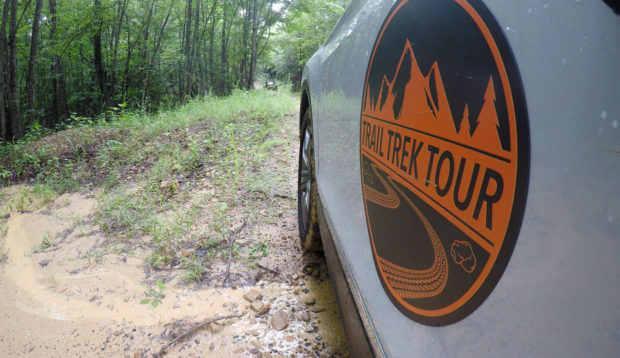 If you look around at the numerous sport utility vehicles on the market, their marketing campaigns are often associated with an adventurous lifestyle. While most SUV owners will never leave the paved roads of their cities and suburbs, most will tell you they just like knowing their vehicle COULD go off-road in the event of a zombie apocalypse. On the other hand, Volkswagen positions their latest Tiguan SUV as “The New King of the Concrete Jungle,” shying away from the aforementioned market positioning, and downplaying one of its best attributes. Most of today’s SUVs and crossovers do reasonably well when their tires leave the tarmac, thanks to their all-wheel drive systems and ground clearance, though some do the job better than others. I recently had the opportunity to put several crossovers to the test off-road during the first ever Trail Trek Tour, and the results were generally quite impressive. 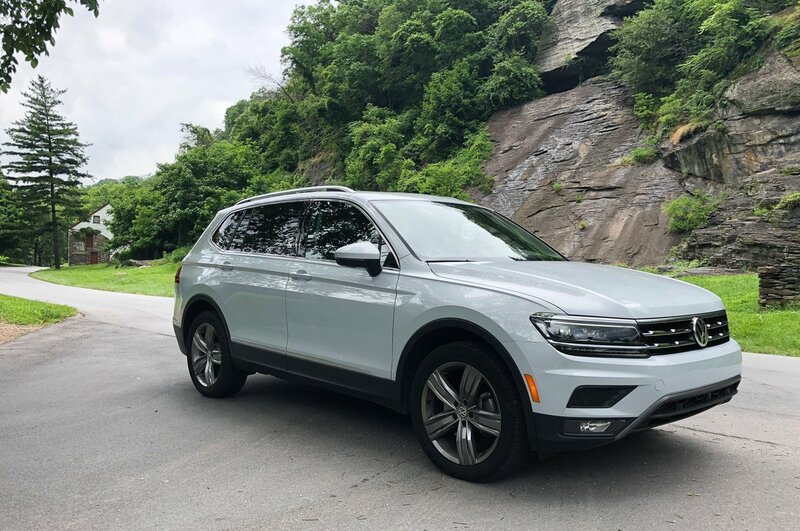 One vehicle that stood out in the pack was the 2018 Volkswagen Tiguan. 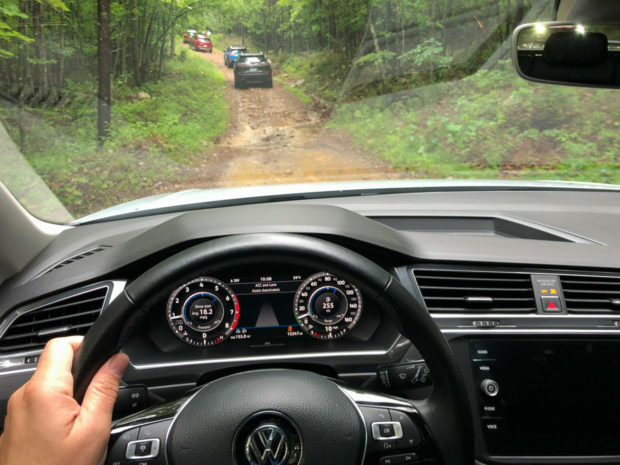 I drove VW’s recently revamped SUV from Baltimore-Washington International airport out to the off-roading trails in Woodstock, Virginia and back. I spent more time behind its wheel than any of the other vehicles on hand, and had a couple of days to live with it as my daily driver of sorts. In its latest incarnation, the Tiguan wins big on its versatility, gaining 10.6 inches in length compared to the prior model, and a whopping 58% more cargo space than before. 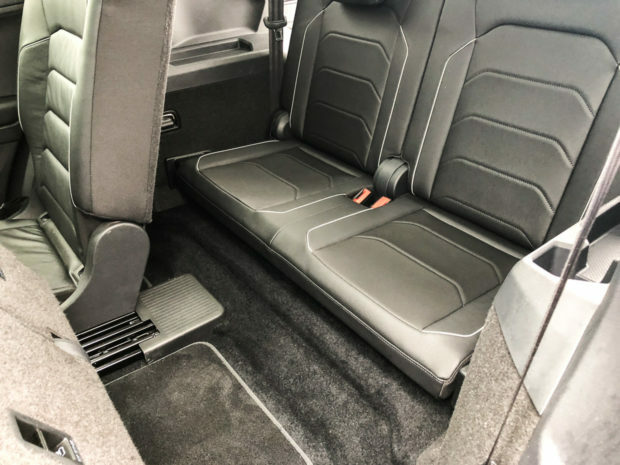 Plus, the Tiguan gets the added versatility of a third row of seats, making it great for families with multiple kids or their friends to haul around. It’s a bit plain vanilla in terms of its overall looks, with VW opting to avoid the controversy of some of their competitor’s more aggressive and playful designs, and instead going with something that’s pretty universal in its appeal. That’s not how I roll when it comes to vehicle styling, but it’s hard to take a strong side for or against such a neutral position. My test vehicle was the Tiguan 2.0T SEL Premium, with 4MOTION all-wheel drive. Its 2.0-liter turbocharged engine offers up 181 hp and 221 lb-ft. of torque, and is connected to an 8-speed automatic transmission. With at least 3,858 pounds to carry around, and a noticeable amount of turbo lag, the engine isn’t exactly exciting on the highway, but it’s sufficient, and offers good gas mileage. I consistently got around 27 mpg on the highway, which isn’t bad for a vehicle that can transport seven passengers. On the public roads, the Tiguan offers a comfortable cabin, with a nice smooth ride, and generally very good isolation from noise and vibrations. The four-wheel independent suspension is soft and compliant, but not mushy. 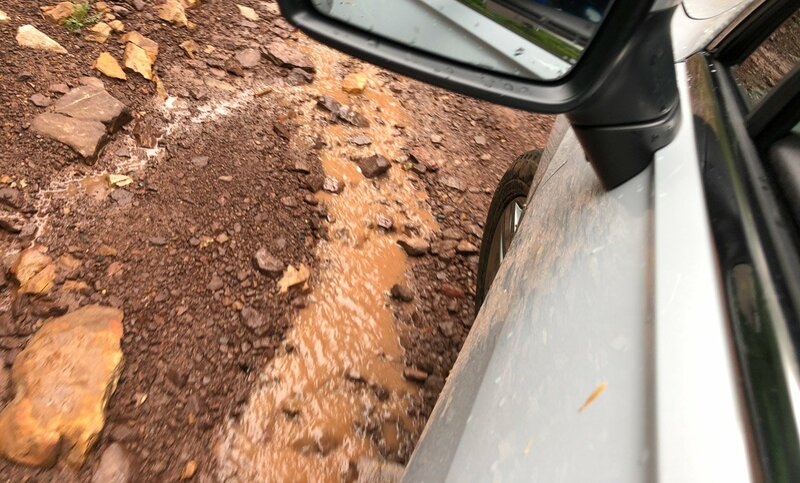 It worked wonders sopping up bumps and potholes on the road, and would prove to be one of the Tiguan’s greatest assets on the dirt trails as well. Of the seven vehicles I tested during the Trail Trek Tour, the Tiguan offered the most comfortable off-road ride of the pack, and was second only to the extremely capable Jeep Cherokee Trailhawk in the overall ratings for the day. As we caravanned through the rocky, rutted, muddy trails in the woods of western Virginia, the Tiguan didn’t struggle in the least. It’s one of a handful of SUVs on the market that offers a specific off-road terrain mode. 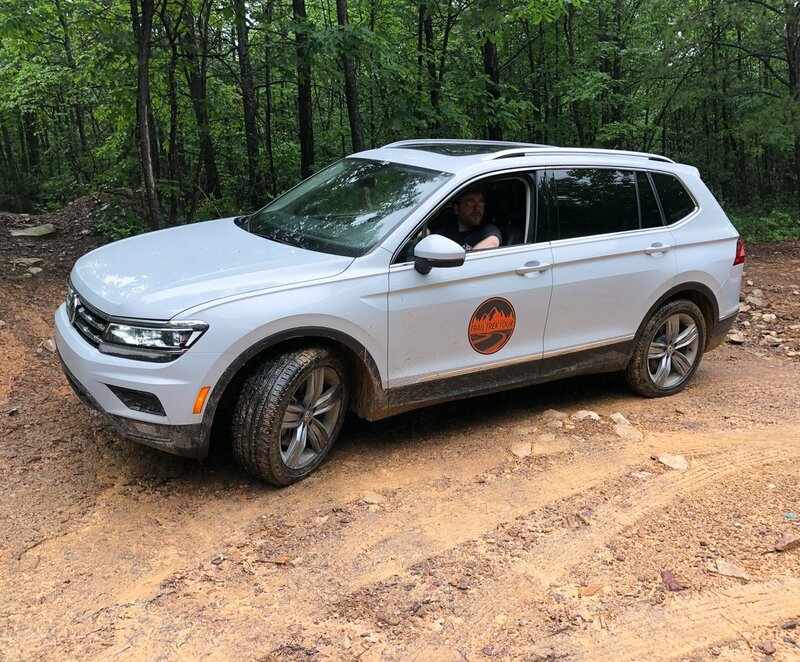 With this engaged, the all-wheel drive system did a great job applying power to the proper wheels and keeping things sorted over the irregular and rocky terrain. Never did I get stuck, or feel close to stuck anywhere along the trails. 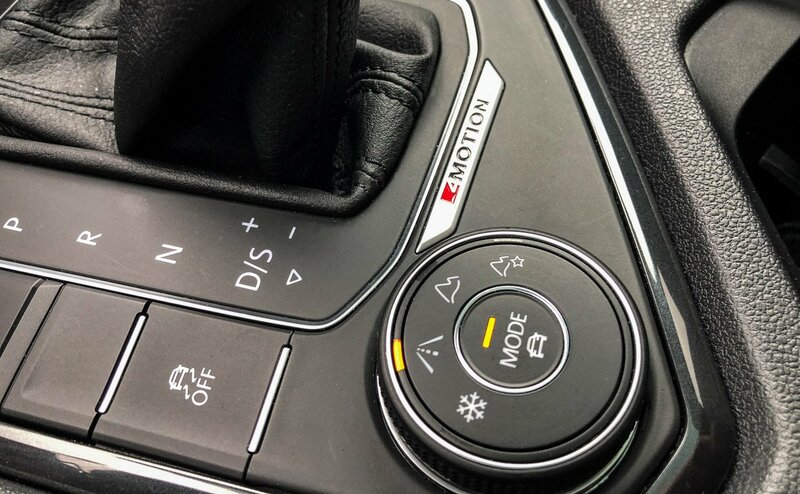 Besides improving traction, this mode shuts off auto stop/start, makes the electronic stability control more forgiving, and activates hill descent control. Adding to its off-road chops, the Tiguan offers a well above-average 7.9″ of ground clearance, and its stubby front and rear overhangs give it a 26º approach angle and a 23º departure angle, both very good for its class. However, its long wheelbase means for a less than stellar breakover situation, which means that tackling obstacles with a sharp ascent followed by a sharp descent can result in bottom-outs. While I never experienced this, at least one other journalist on hand complained of this as an issue. Traversing the bumpy course, looking around at the Tiguan’s capacious and comfy interior, trees peeking through its massive panoramic sunroof, I could imagine taking a family on a real off-road adventure in a completely stock vehicle. Even riding on the sporty 19″ alloy wheels, the tires offered enough meat on them to survive the jagged rocks along our path. 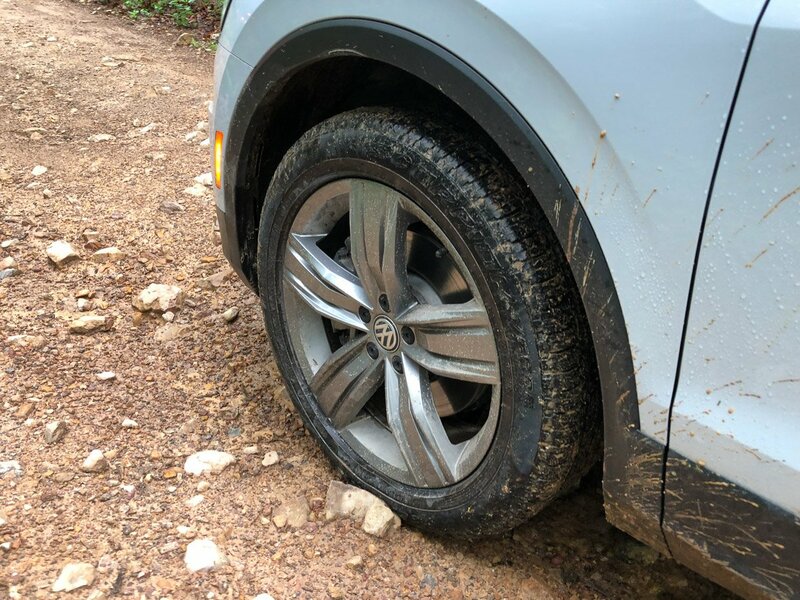 Though if I were really serious about going off-road in any vehicle, I’d buy a set of cheap 16″ or 17″ wheels and some chunky off-road rubber. No reason to ding up your nice rims or risk a flat on your street tires, right? Inside, the Tiguan offers plenty of space, comfortable seating and a good variety of safety and convenience tech. I was particularly impressed with the adaptive cruise control system while I was on the highway portion of my drive. It offered very smooth transitions as speeds changed, without any of the lurching that some other systems exhibit. Its large “digital cockpit” instrument panel is quite slick, offering a configurable display for speed, fuel, economy, navigation, and safety information behind the steering wheel. Sadly, my vehicle suffered from a technical issue, which prevented the navigation, Bluetooth, and some other infotainment features from working properly, so I really didn’t get to test these features. This was an isolated issue with my fleet loaner, and unlikely to be something you’d encounter in a production Tiguan. Second row legroom and headroom is quite good, while the third row is definitely designed for young ones or short adults. I do like that the back row folds completely flat, so no cargo space is wasted when they’re not in use. With all three rows in use, there’s 12 cubic feet of cargo space – enough for grocery bags or backpacks. That expands to an ample 33 cubic feet with the third row folded, and a substantial 65.7 cubic feet with both second and third rows folded. 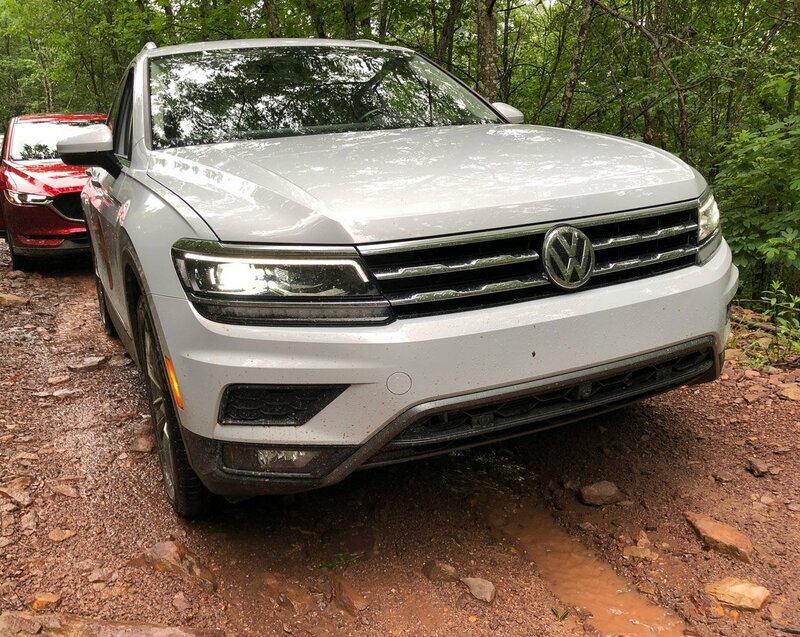 The 2018 Tiguan really did impress me in terms of its comfort, space, versatility, and its unexpected off-road prowess. It’s not designed for someone looking for thrills in terms of power or aesthetics, but it’s a great choice for families in the market for capability and versatility at a reasonable price. 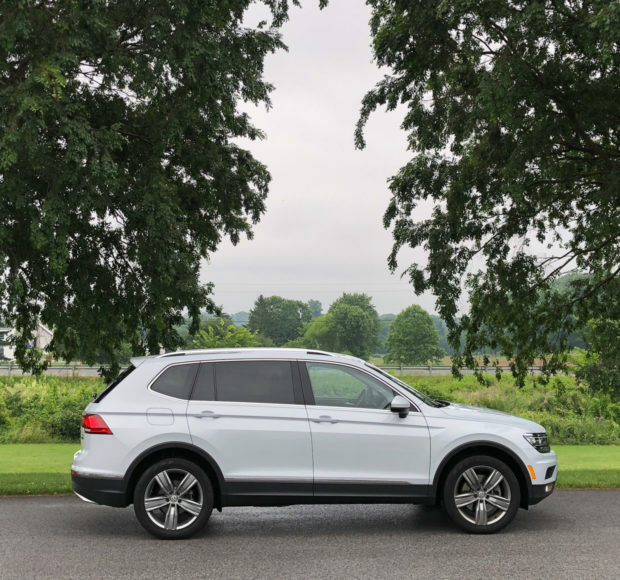 The base model 2018 Tiguan starts at just $24,595, though the loaded SEL Premium 4Motion shown here had a sticker price of $38,950, including destination.